The owner Theologos Gave us a warm family feeling. Location of the apartment is great, close to everything needed for a relaxing holiday. 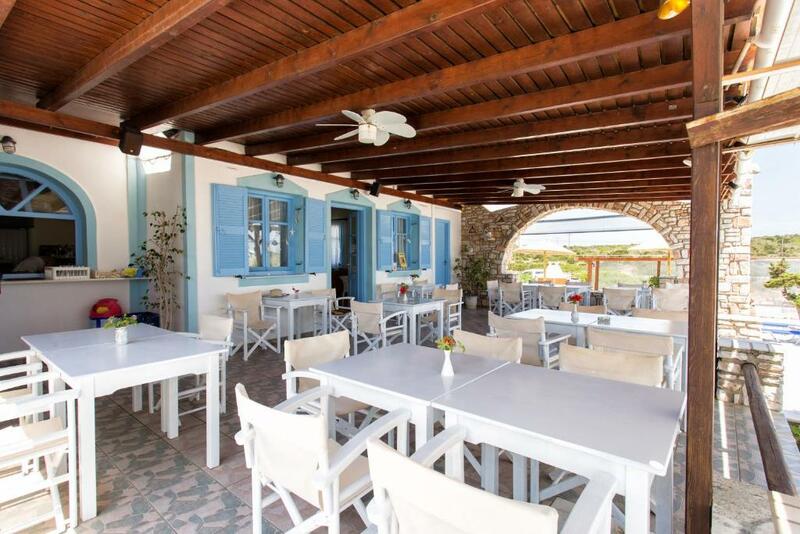 Theologos beach er som å reise «hjem til Antiparos.» Vår familie har hatt 8 netter juli 2018 og storkost oss. Personalet er hyggelig, behjelpelig og folkelig. Rommene er rene og pene. Som familie med små barn ble vi tildelt rom med egen inngang til hotellet. Leiligheten lå «i vannkanten.» -frokosten fantastisk god. Barna fikk plukke tomater fra urtehagen som de ville. Alt var helt perfekt. Vi skal absolutt tilbake her. 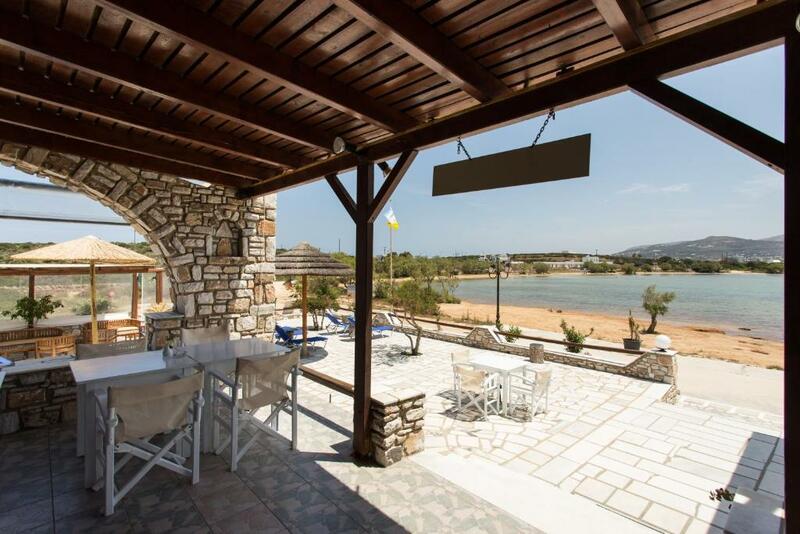 Lock in a great price for Theologos Beach – rated 9.1 by recent guests! 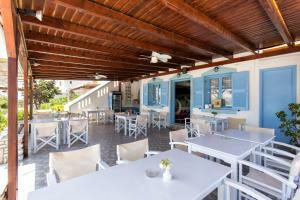 One of our best sellers in Antiparos! 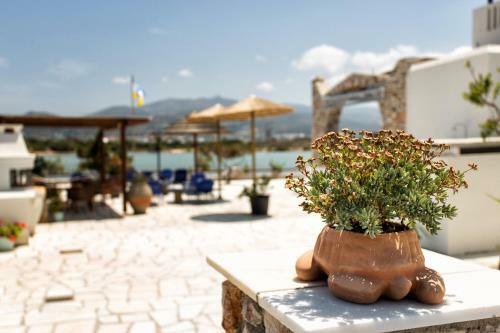 Located 1,000 feet from the port of Antiparos, Theologos Beach offers a garden, sun terrace and studios with a balcony overlooking the sea. It is 30 feet from the nearest beach and the center of Antiparos. All air-conditioned studios include a TV and kitchenette with electric kettle and fridge. The bathroom comes with a hairdryer and shower. Free Wi-Fi is offered throughout. 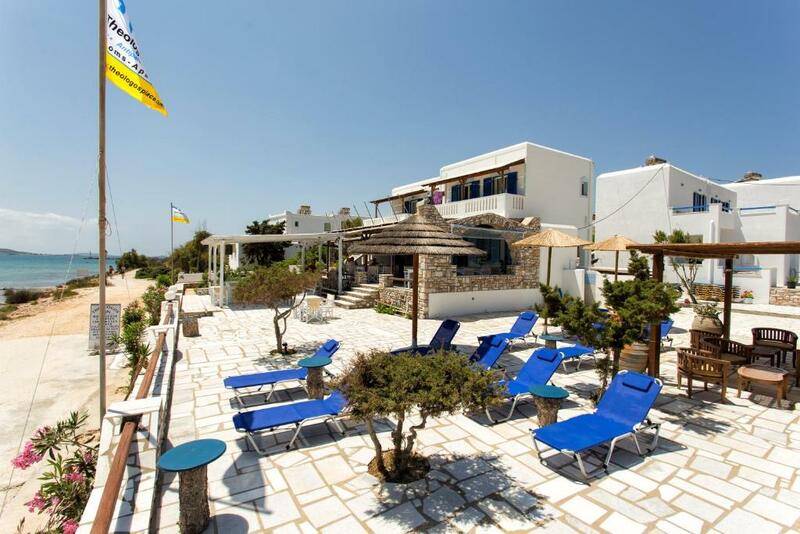 Theologos Beach is 1,650 feet from the Venetian Castle and 4.3 mi from the Cave of Antiparos. When would you like to stay at Theologos Beach? 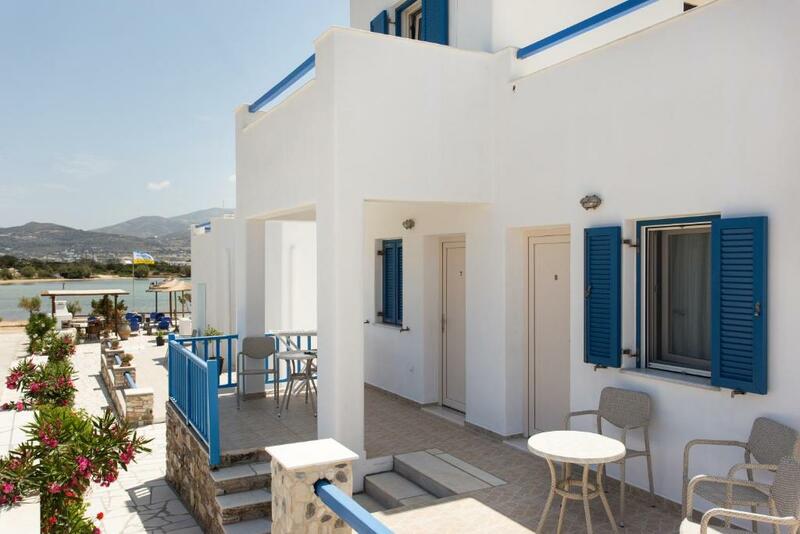 Offering a balcony overlooking the sea, the air-conditioned studio features free Wi-Fi and a TV. A kitchenette with electric kettle and fridge is included. The bathroom comes with a hairdryer and shower. We welcome you to Theologos Beach to have unforgetable vacation with delicious food, beautiful view and excellent service. 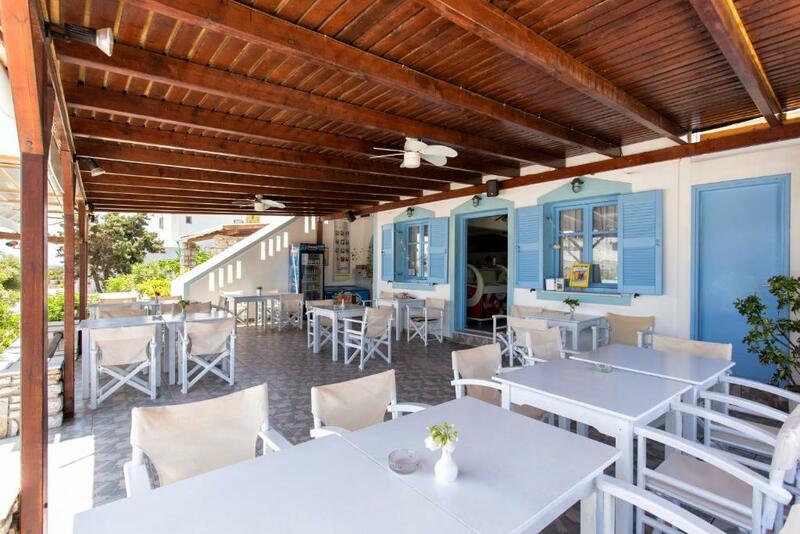 House Rules Theologos Beach takes special requests – add in the next step! 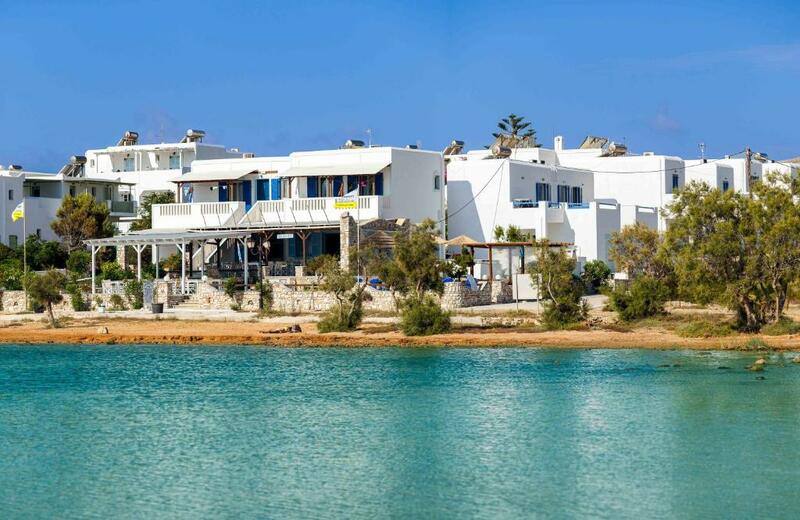 Theologos Beach accepts these cards and reserves the right to temporarily hold an amount prior to arrival. Please inform Theologos Beach of your expected arrival time in advance. You can use the Special Requests box when booking, or contact the property directly using the contact details in your confirmation.